Trademark of Angel Yeast Co., Ltd.
Angel Yeast Co., Ltd, was founded in 1986. As a listed high-tech yeast company in China, it specializes in the production of yeast and yeast derivatives. Angel Yeast has 10 international advanced production bases in China, Egypt and Russia. Bellevue Ingredient and Solutions is the new name of Semoulerie de Bellevue. It is a Panzani Business Unit, part of the Ebro Foods group. 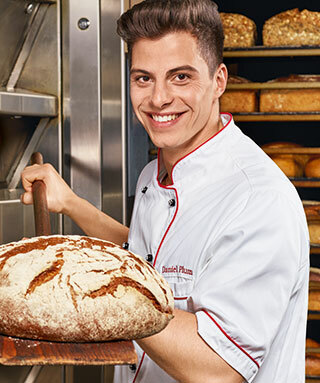 Leader in durum wheat processing in France, we provide a complete range of durum based ingredients for the bakery industry. Discover our Expert Gold, Cook Solution and Pasta Pro ranges. Contact us to know more about our expertises.